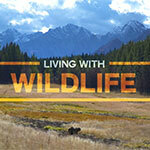 BEAR SPRAY is perhaps the single best protection measure in a close human–bear interaction. Put simply, “bear spray works”. Bear spray is an effective tool for anyone working, living, or playing in bear country and is recommended by Bear Conflict Solutions Institute staff. Bear spray should be readily accessible, on a belt with a quick draw holster – not in a backpack or on a bike. 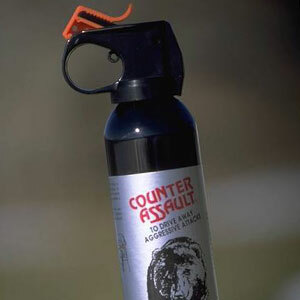 Bear spray is available at most hiking and outfitter retail locations or by contacting the Bear Conflict Solutions Institute. REPORT: Are Firearms effective in a bear encounter? There has been much discussion regarding the efficacy of bear spray and/or firearms; is one better than the other? Research regarding the efficacy of suggests that bear spray may actually be a more effective and a safer way to deter bears. For more information regarding firearms and bear spray, click to view this report.